Although I lost my parody campaign to be the new Linden Lab CEO, I've won a prestigious punditry position on one of the Featured Panels at this year's Virtual Worlds Best Practices in Education Conference. Instead of having to do the hard work of actually running Linden Lab and shouldering the responsibility for the future of Second Life, I get to sit on stage for two hours and pontificate to my virtual heart's content, along with co-panelists Will Burns (RL) Aeonix Aeon (SL), Terry Beaubois (RL) Tab Scott (SL) and Kevin Feenan (RL) Phelan Corrimal (SL). Apparently, I'm the only immersionist die-hard not giving co-billing to my wallet name counterpart. It is the essence of good management that an effective advisory board, properly composed and structured, provide informed guidance in the quest for superior corporate governance. That includes opportunities to seek out dissenting viewpoints that challenge the status quo and forces executives, and board members, to re-evaluate long held beliefs which may be holding back growth and profitability. Third party expert opinion provides a safe harbor which new executives can realize new opportunities without being prejudiced by internal politics. This panel brings together four experts who bring a diversity of backgrounds and insights about Linden Lab’s past, present, future, and competitive environment. Each is an executive in their own right having extensive experience throughout the industries they are engaged with. Further, each is an outspoken proponent for the promotion of best practices whether it be in management, education, strategy, marketing, or research and development. 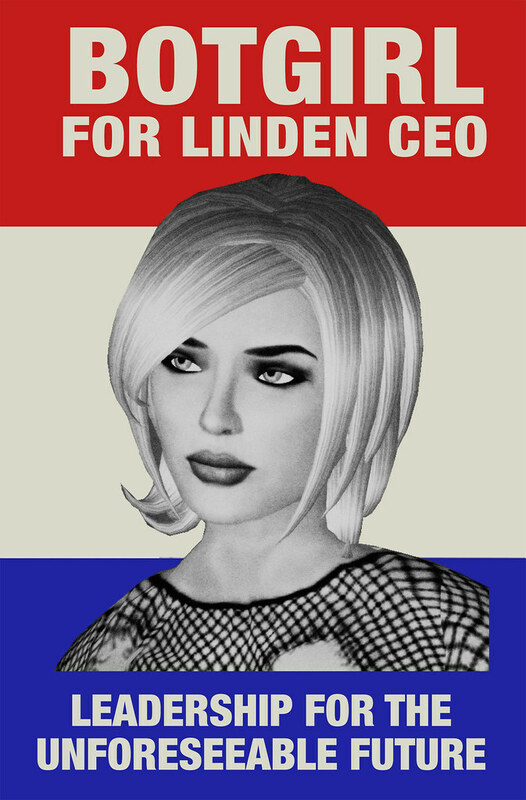 The objective of this panel is to develop a position paper which can help guide and inform Linden Lab’s new CEO on the opportunities, risks, cost benefits, and potential returns on investment based on a thoughtful analysis of the issues facing our communities of practice. It should be a pretty interesting discussion with four unique perspectives. My ongoing series on virtual worlds past, present and future can give you a glimpse of my point of view.